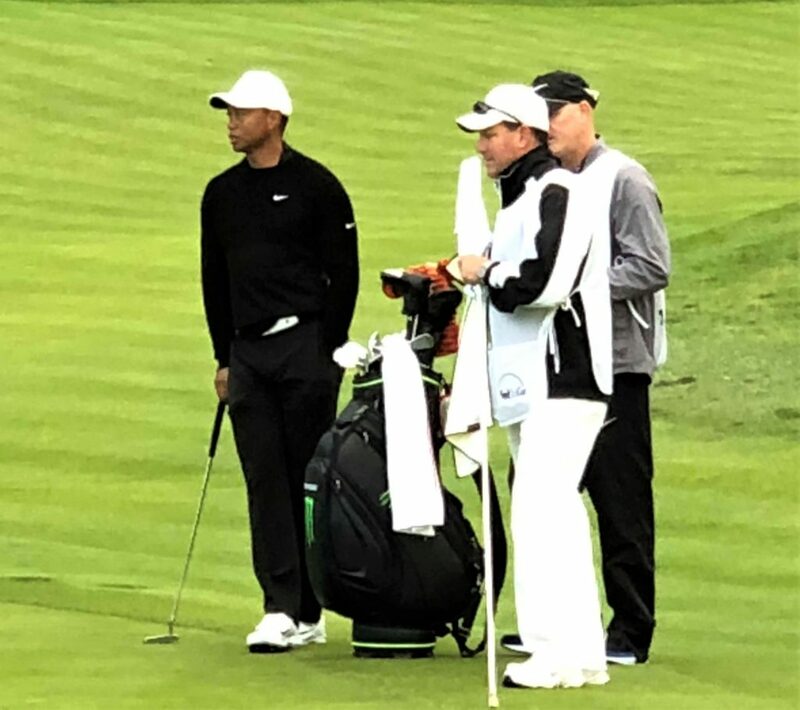 Tiger Woods played at the Genesis Open last year and will return to the Riviera this year. The list of professional golfers committed to play in the Genesis Open at the Riviera Country Club February 11-17 contains the top players in the world. Among the first golfers to commit to the tournament in Pacific Palisades were Dustin Johnson and Bubba Watson. Watson, who easily won the tournament last year, with 12 under, also took the title in 2014 and 2015. He is only the second three-time winner at the Riviera, the other being Lloyd Mangrum (1949, 1951 and 1953). His current world ranking is 16. At a news conference last year at the Riviera, Dustin Johnson, who is now ranked third in the world, said “This is a golf course I enjoy, it’s one of my favorite courses that we play all year.” He won the tournament in 2017 and was a 2014 and 2015 runner-up. The TGR Foundation supports youth development, through STEM curricula, college-access programs, digital platforms and educator professional development (Visit: tgrfoundation.org). 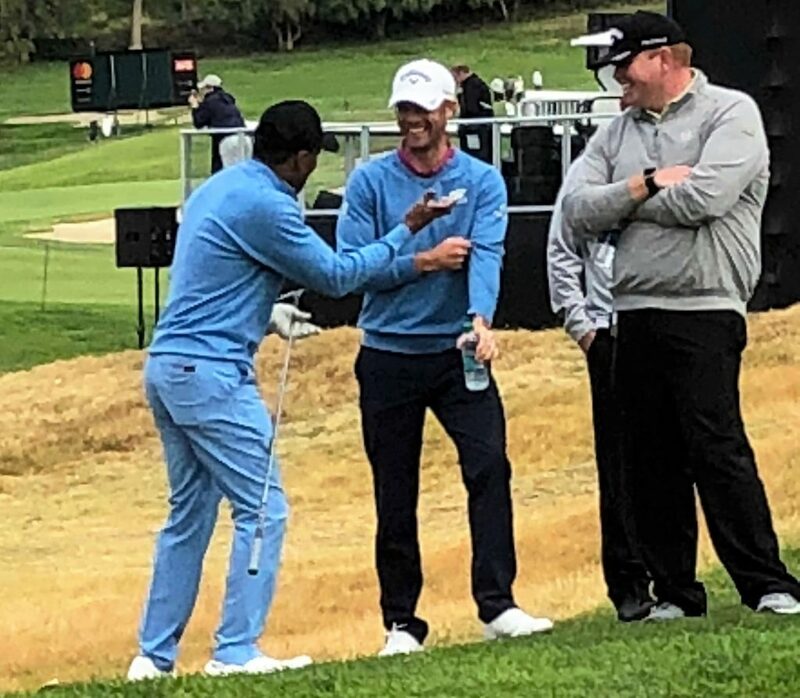 Woods’ TGR Live manages the Genesis Open. Justin Thomas, the fourth-ranked player in the world, will also play, along with Fred Couples, who won at Riviera in 1990 and 1992 and is a member of the World Golf Hall of Fame. A full list of participants will be released on February 8. The 72-hole tournament begins Thursday, February 14. Tickets are now on sale, starting at $20 for a day pass. Visit GenesisOpen.com/tickets. Palisades former honorary Mayor Ray Leonard played the Pro-Am at the Genesis Open and had his partners in stitches, including golf pro Wesley Bryan (center). © Sue Pascoe and www.circlingthenews.com, 2019. Unauthorized use and/or duplication of this material without express and written permission from this site’s author and/or owner is strictly prohibited. Excerpts and links may be used, provided that full and clear credit is given to Sue Pascoe and www.circlingthenews.com with appropriate and specific direction to the original content.